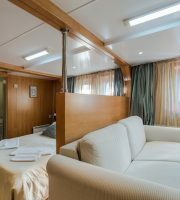 All cabins have scenic windows, but the windows on Low and Main deck do not open. 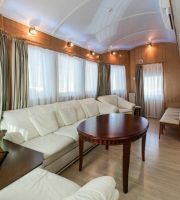 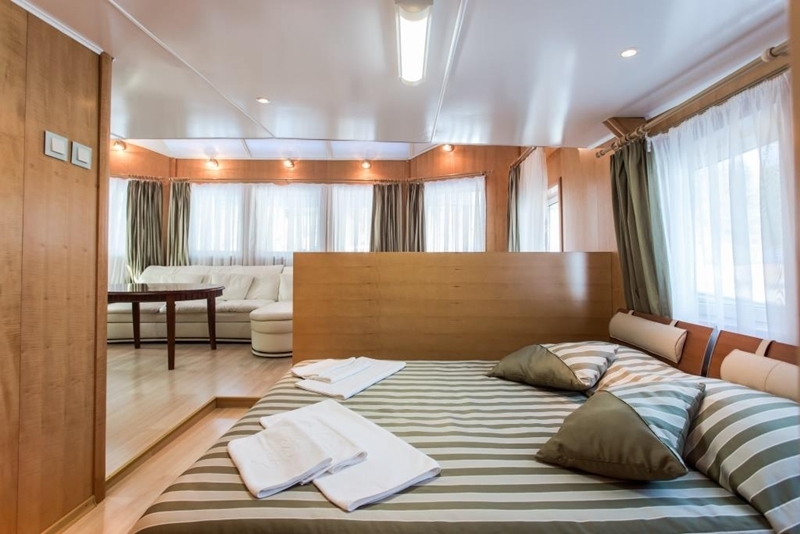 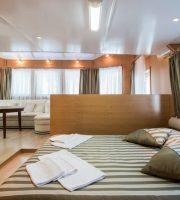 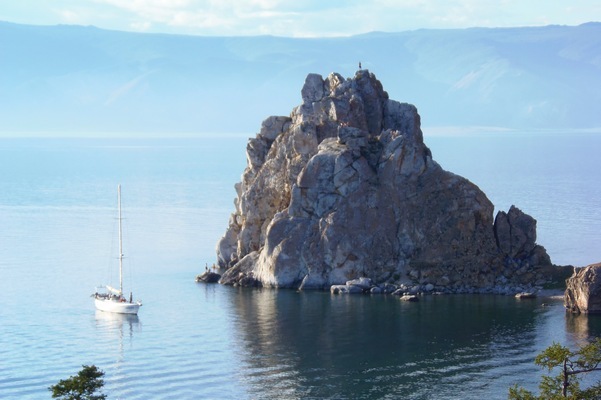 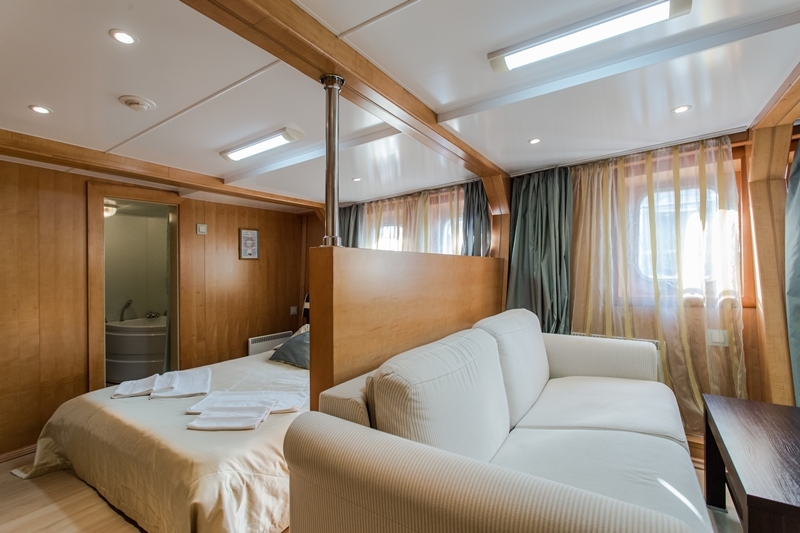 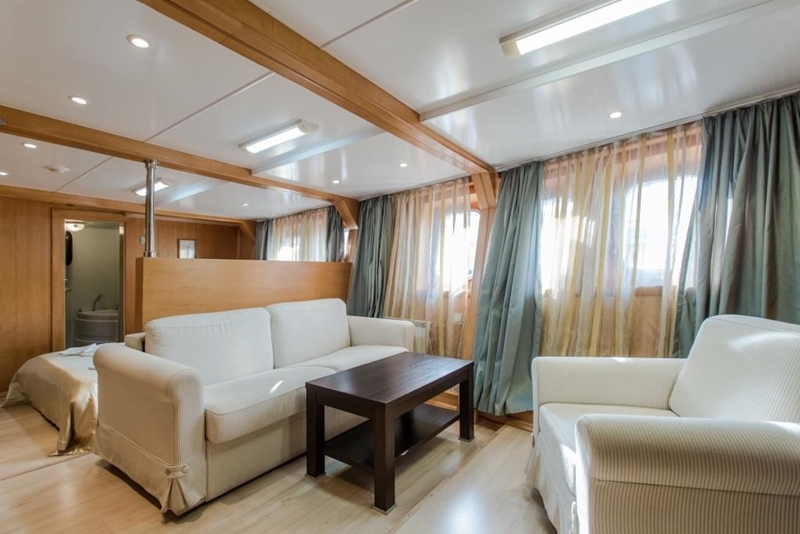 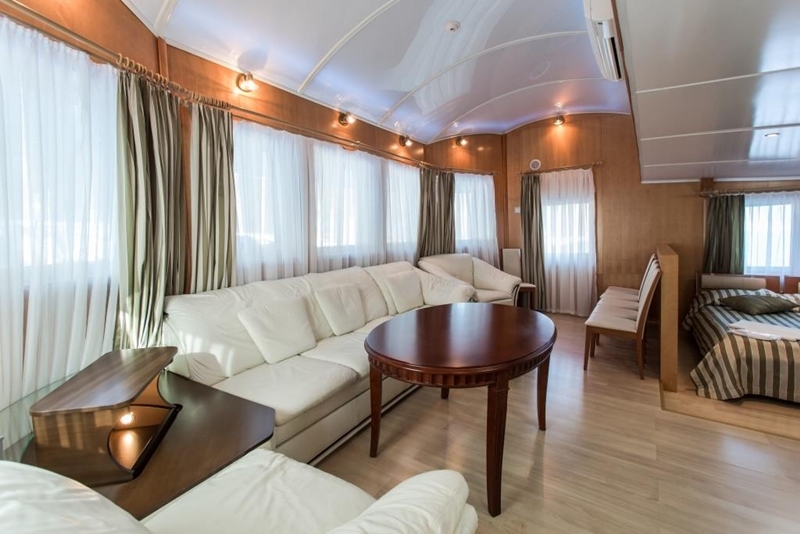 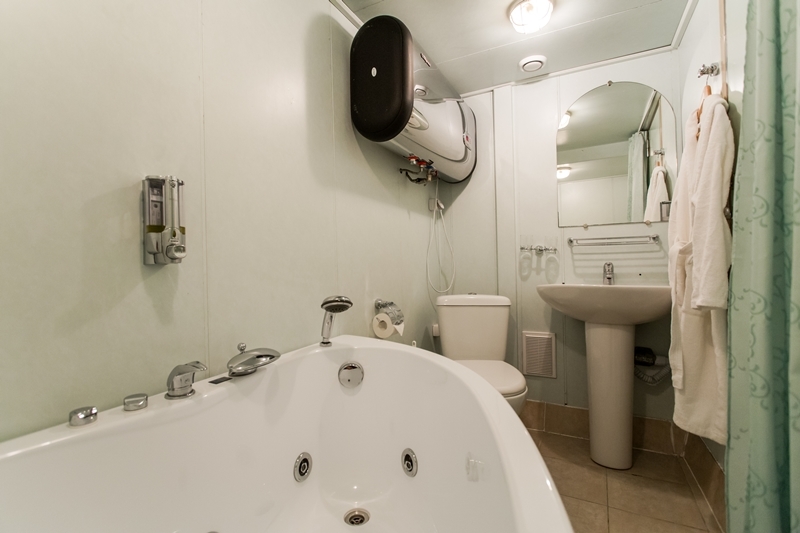 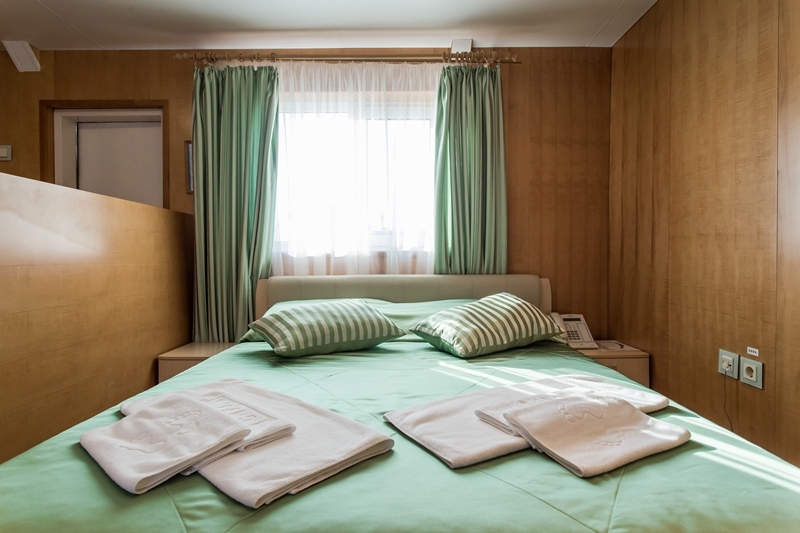 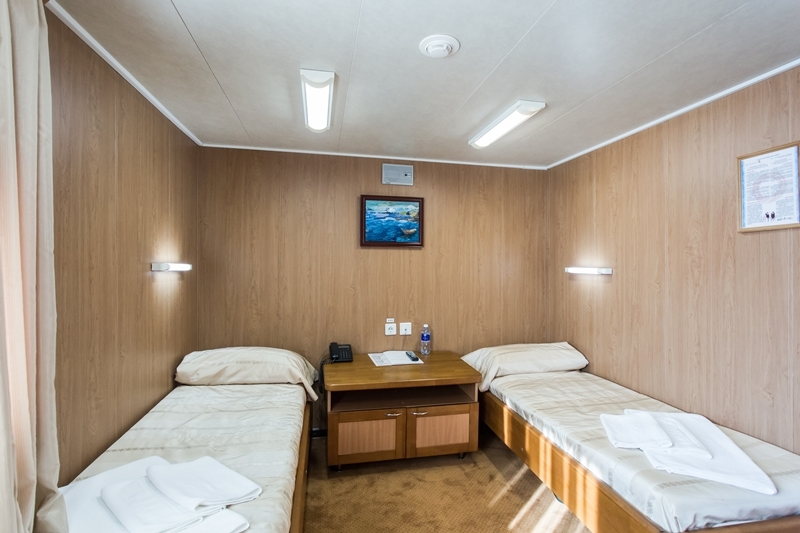 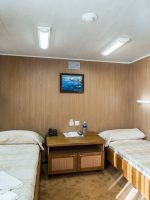 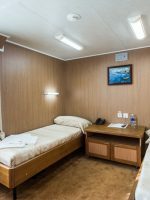 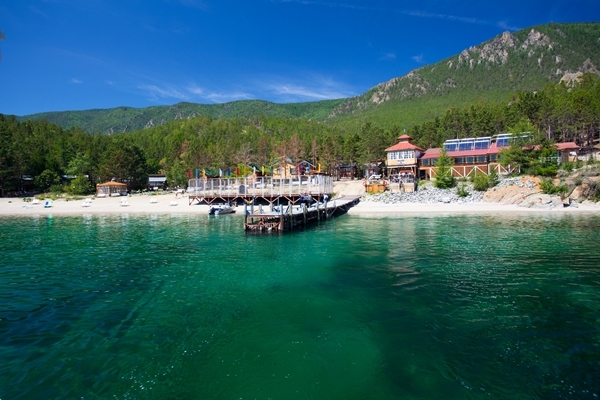 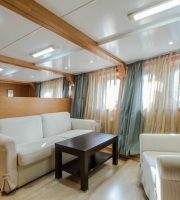 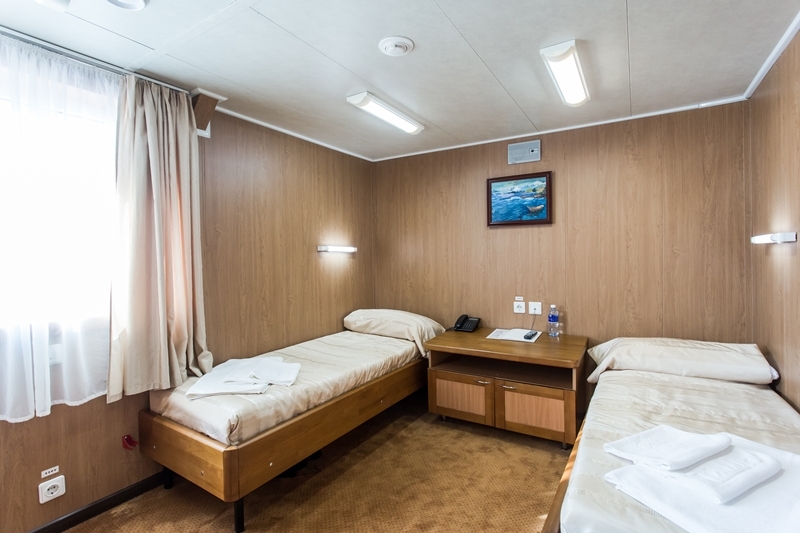 All cabins are equipped with comfortable furniture and small bathroom with shower on the floor. 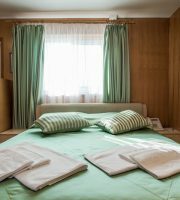 Bed size: 2m x 70cm. 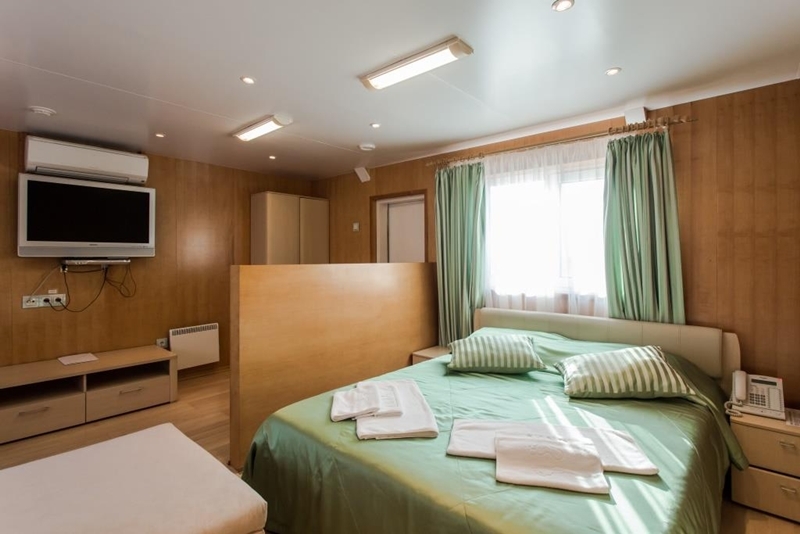 TV, DVD-player, internal phone, hair dryer, toiletries in each cabin. 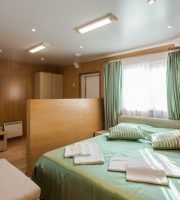 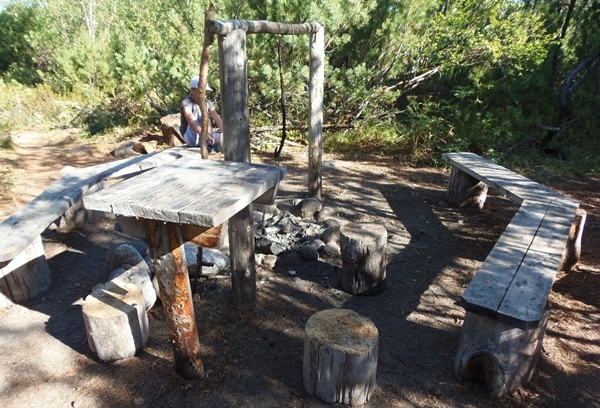 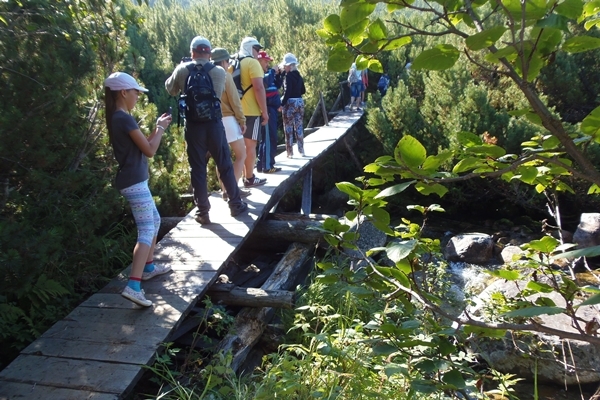 There are no refrigerators in the cabins, nor the air-condition. 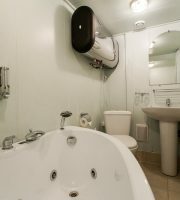 Note: Staircases are narrow and steep. 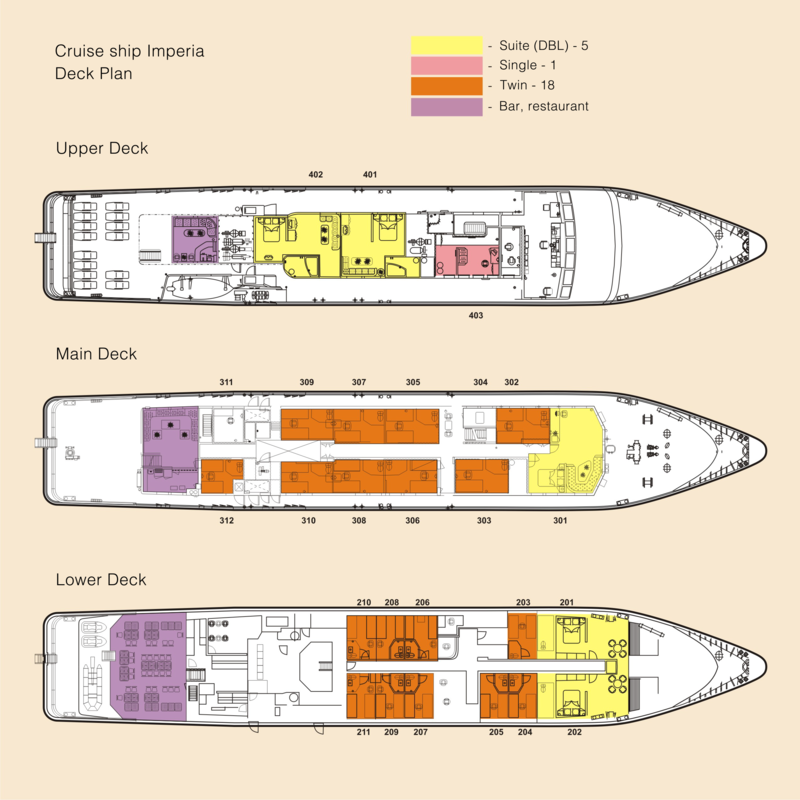 The ship is not suitable for the people with walking difficulties.